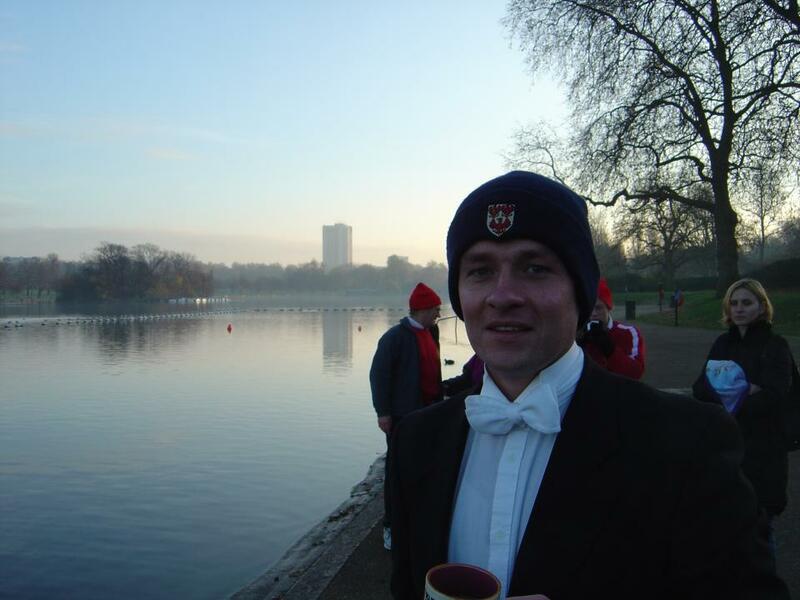 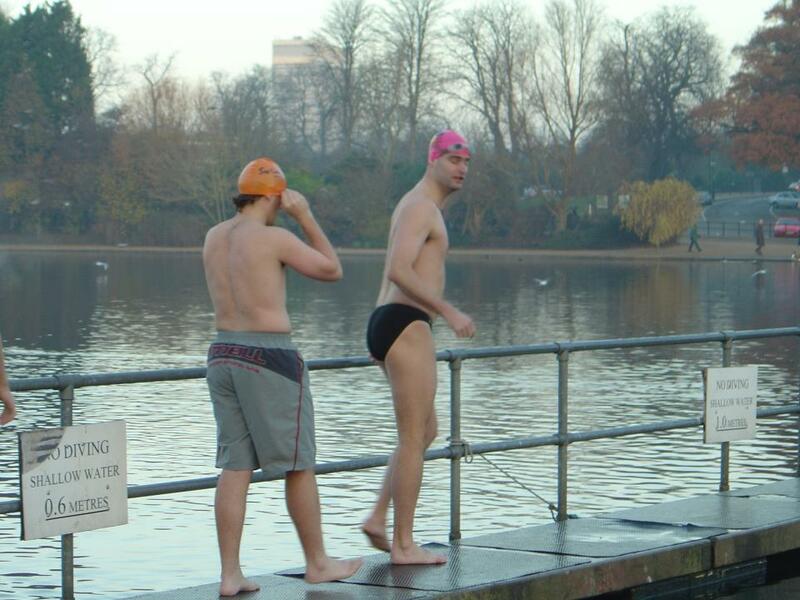 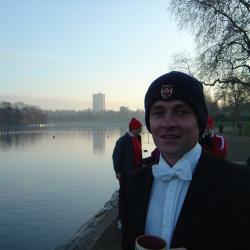 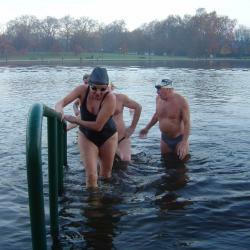 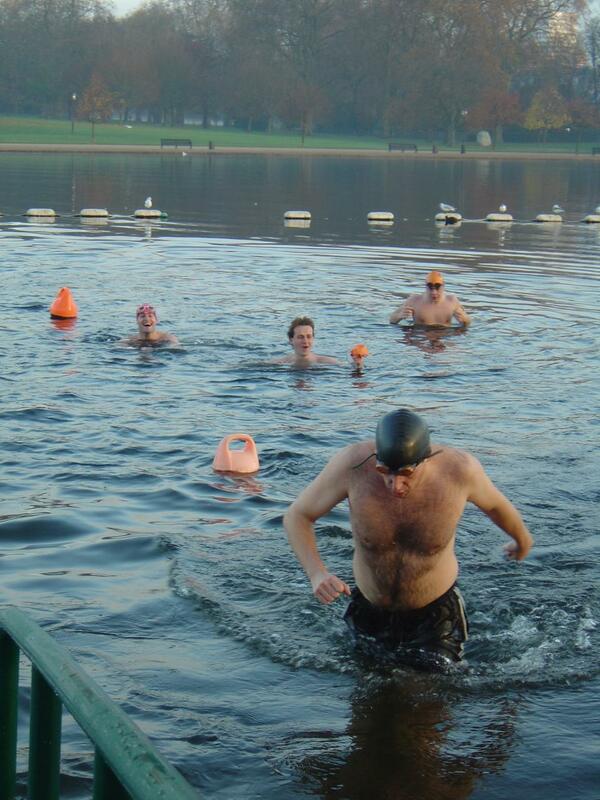 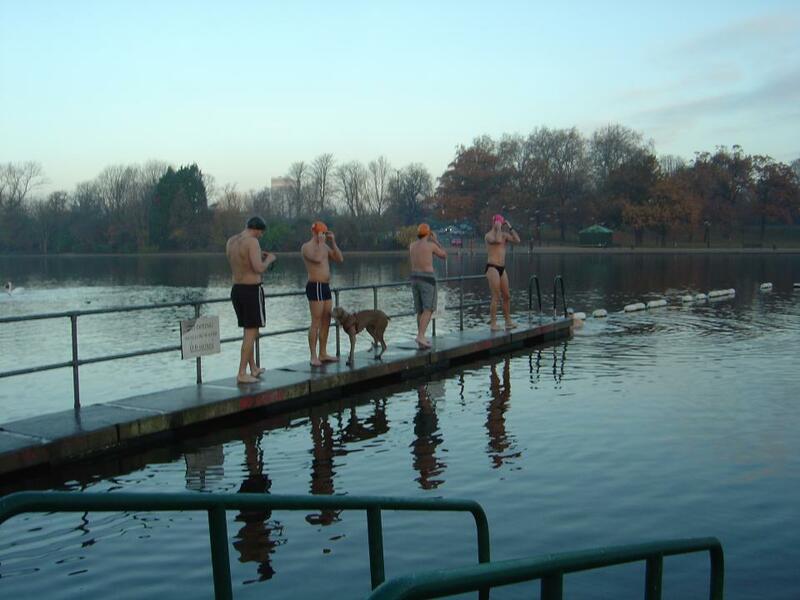 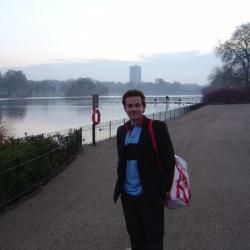 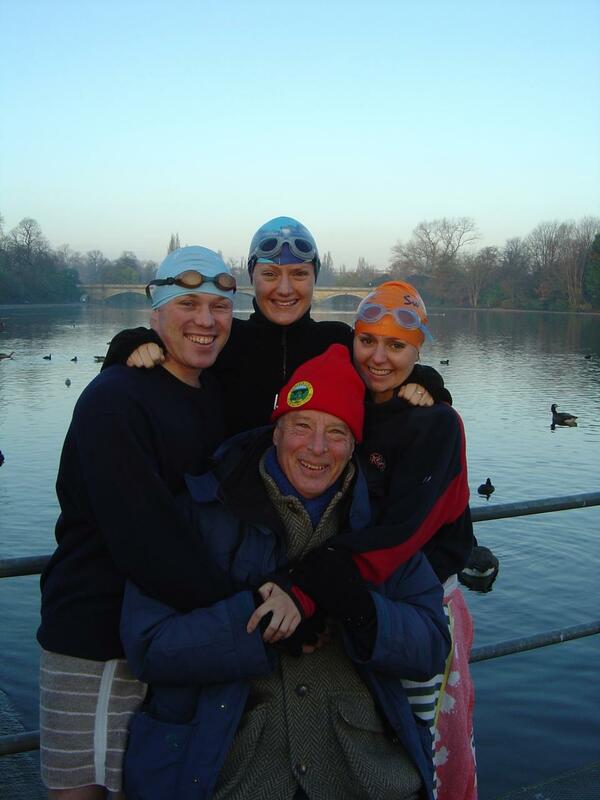 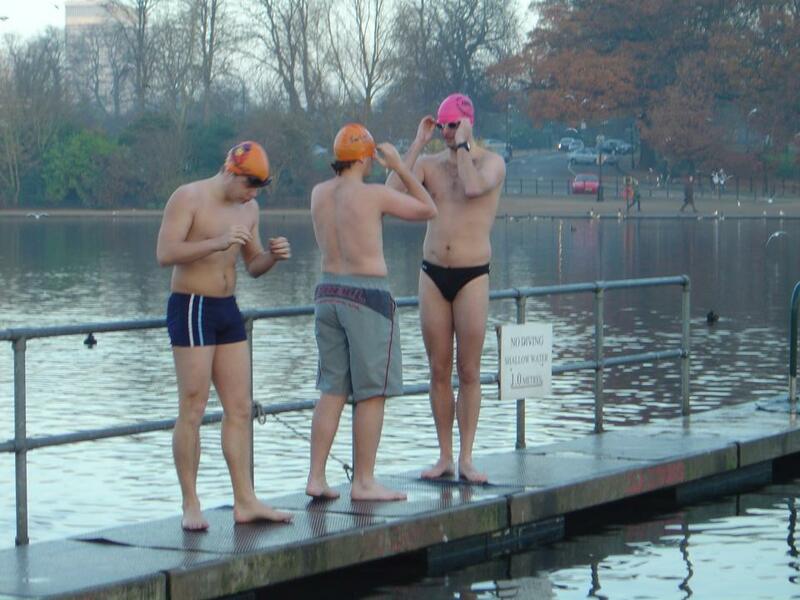 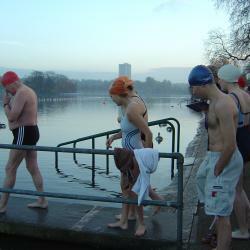 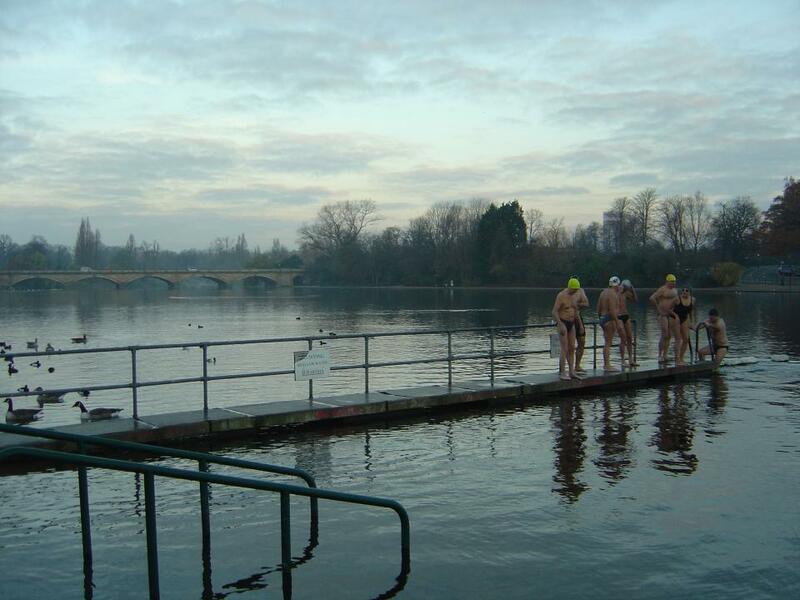 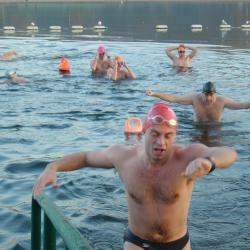 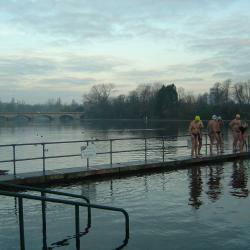 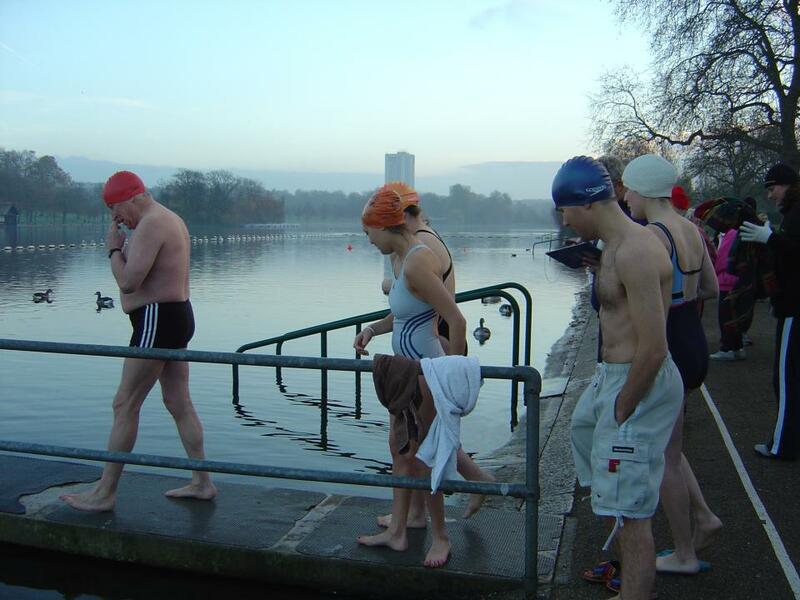 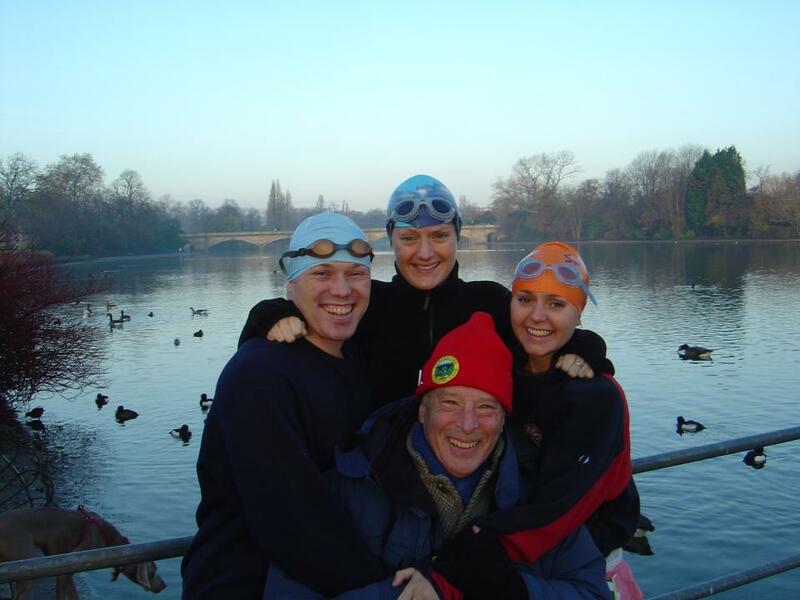 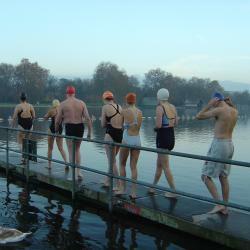 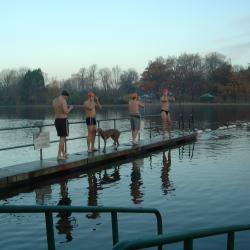 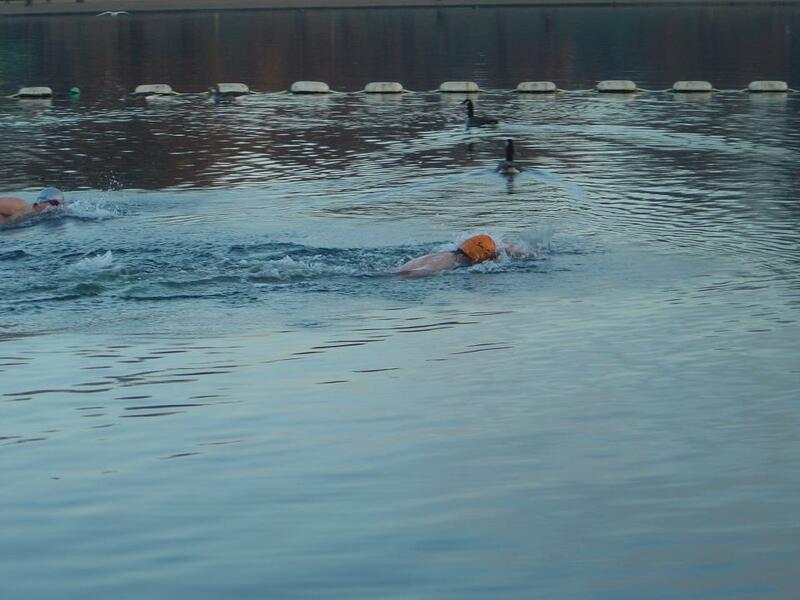 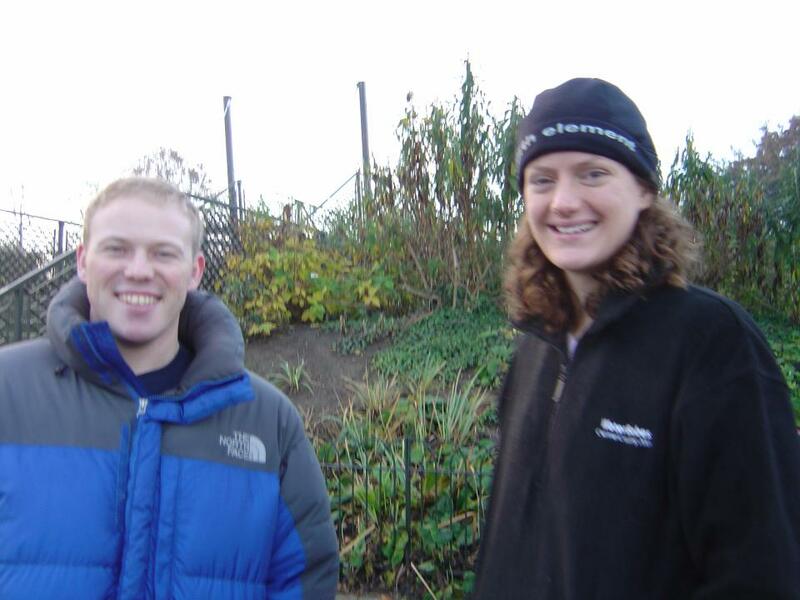 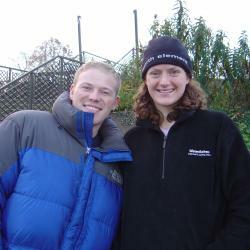 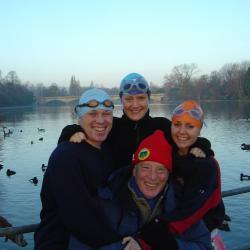 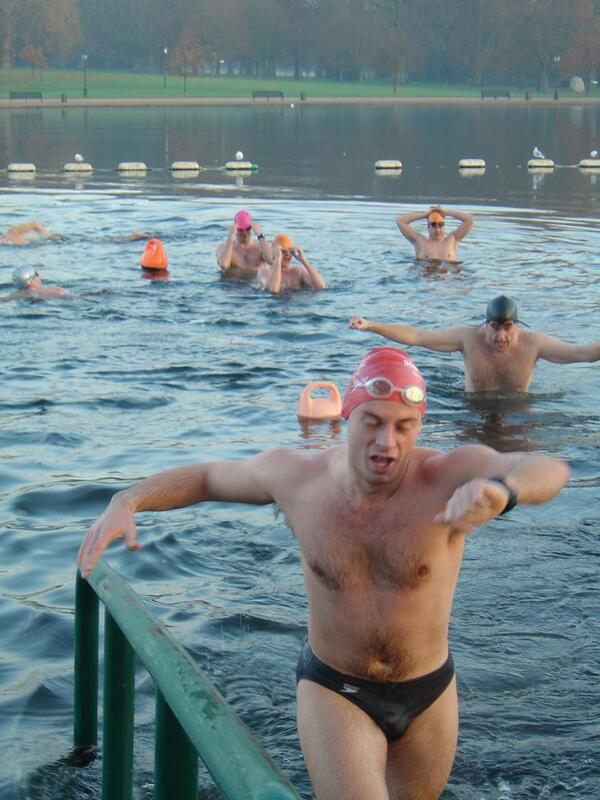 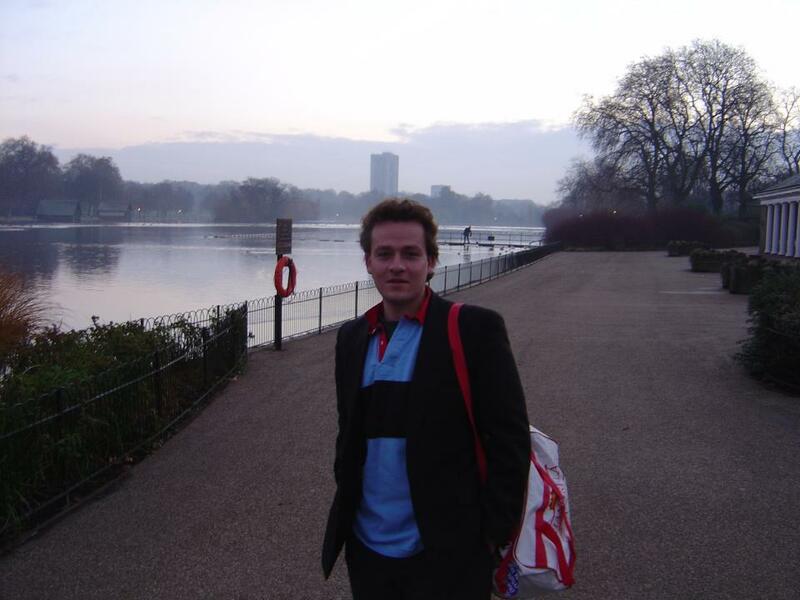 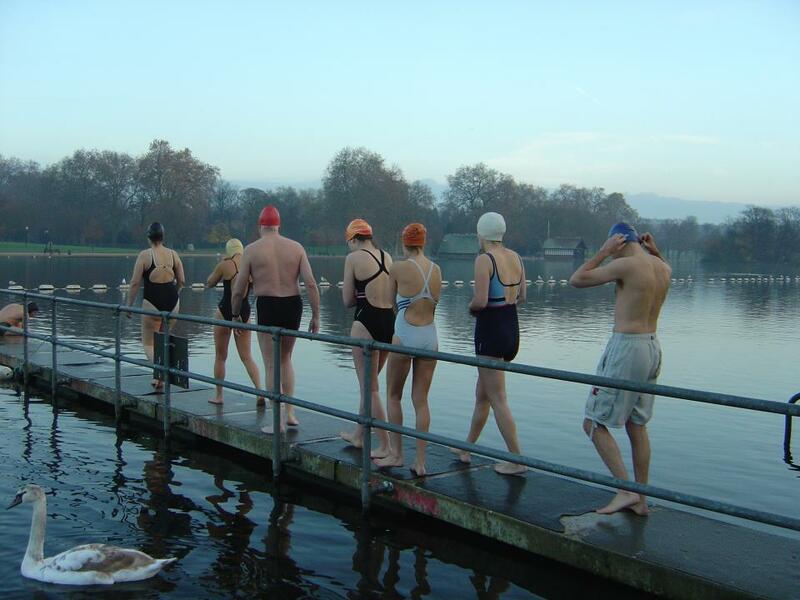 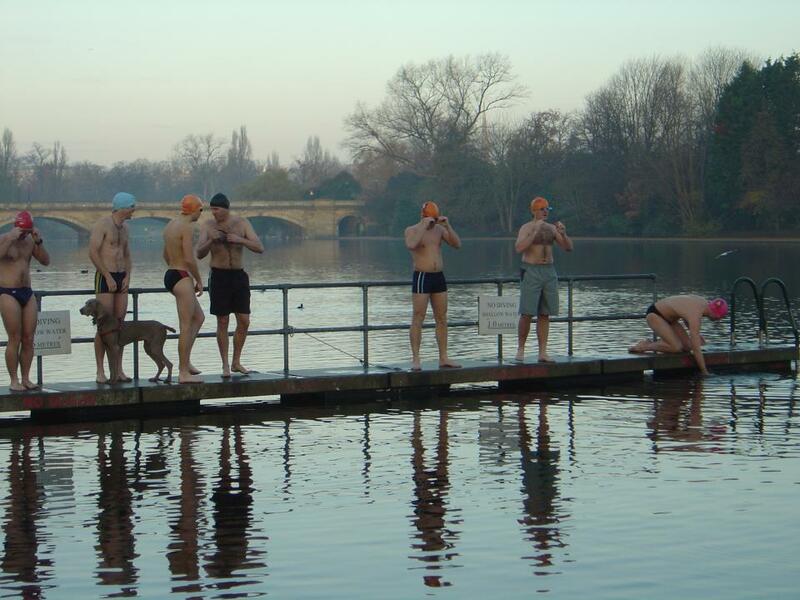 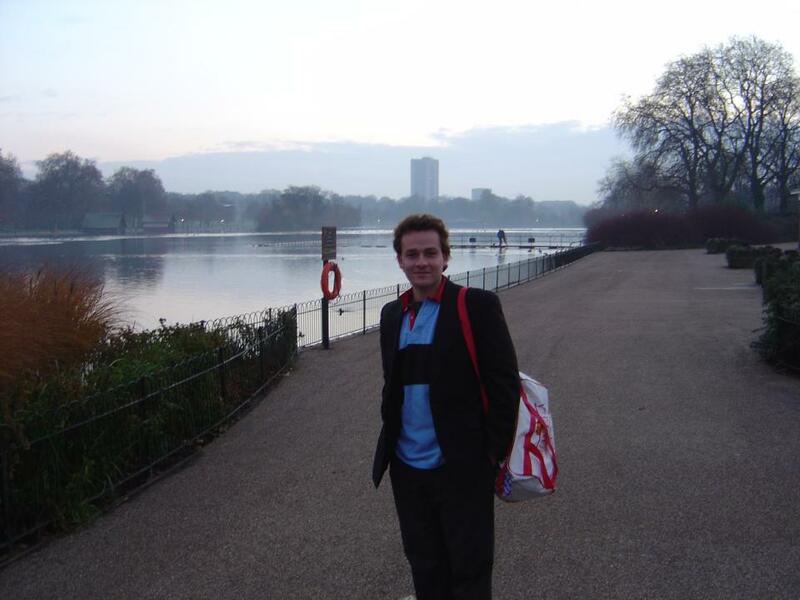 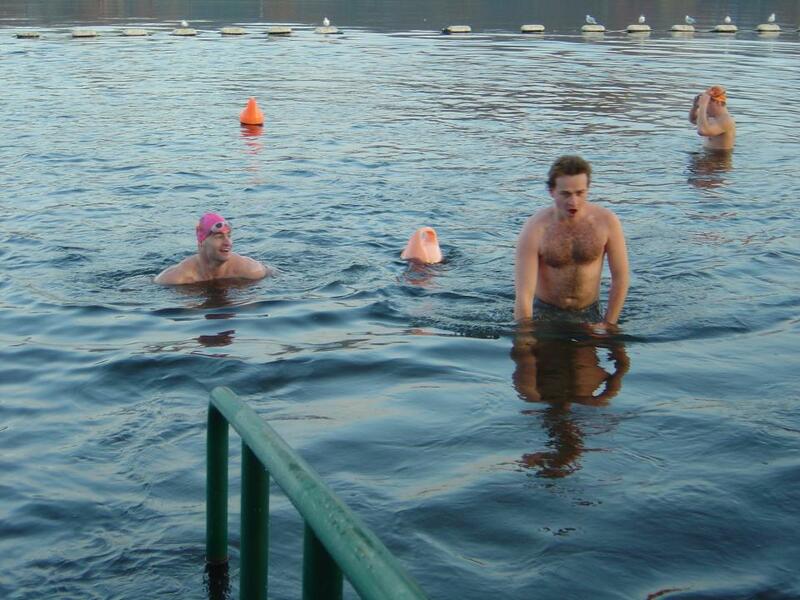 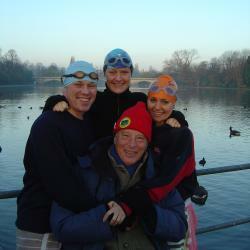 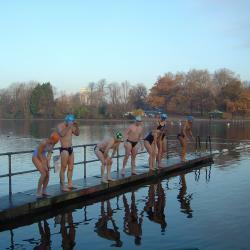 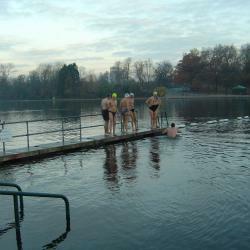 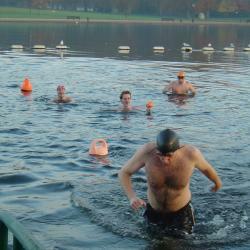 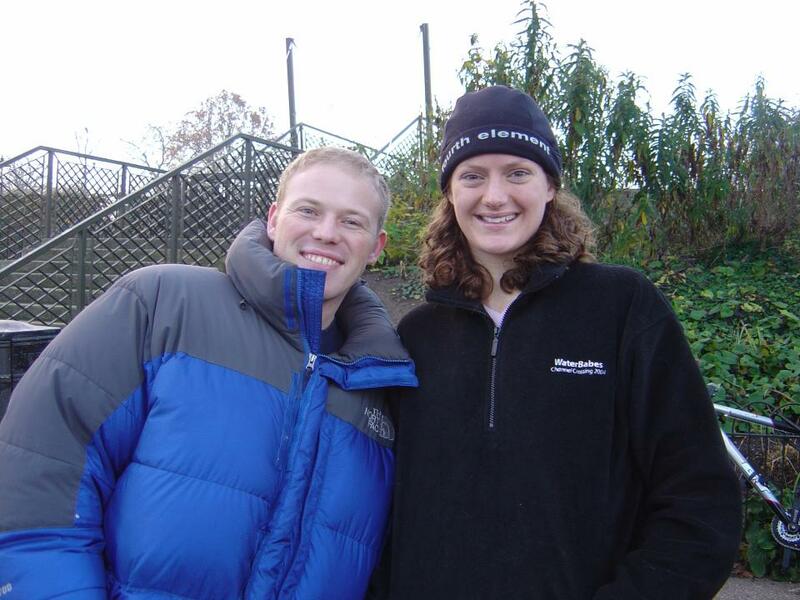 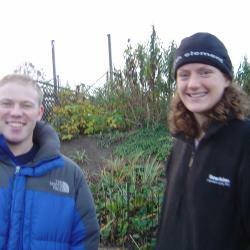 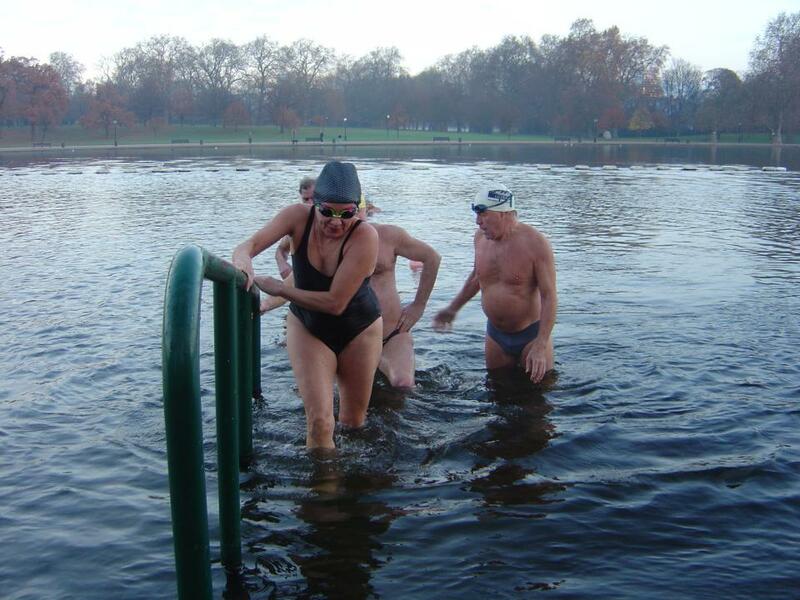 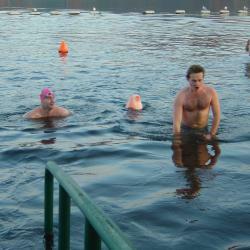 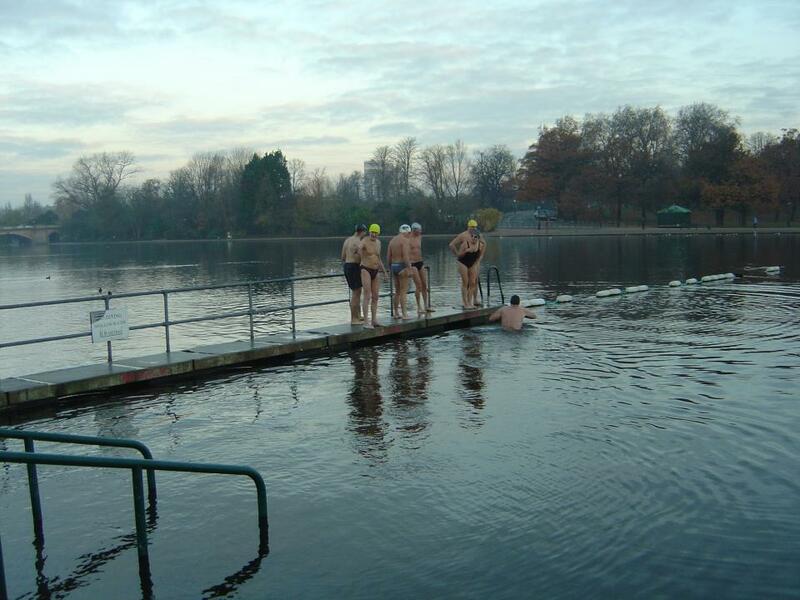 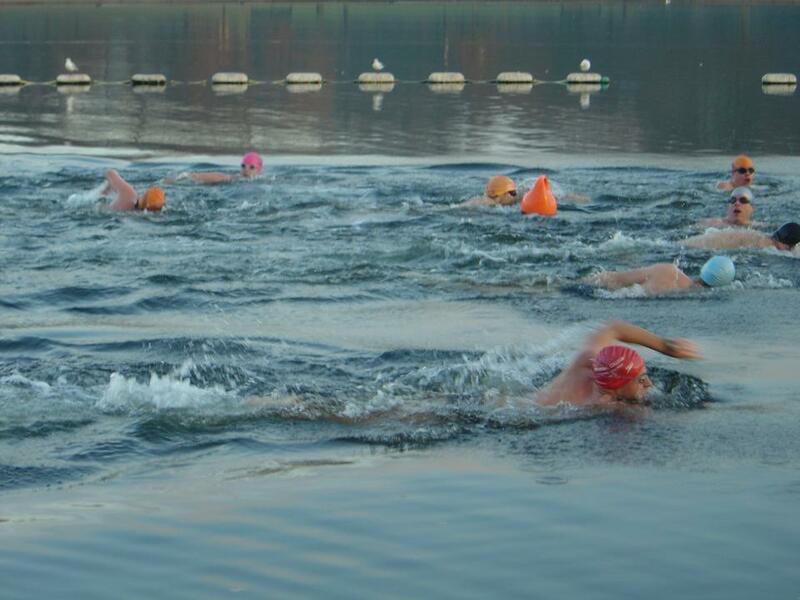 A water temperature of 40oF was the welcome Matt Corry, a colleague of Nick Adams from Eton, met this cold morning. 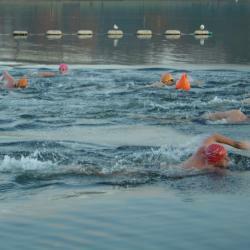 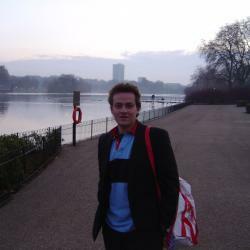 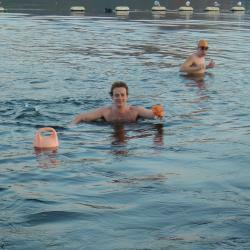 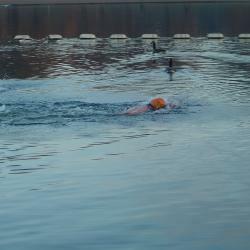 He completed the course in a mixture of freestyle and breaststroke. 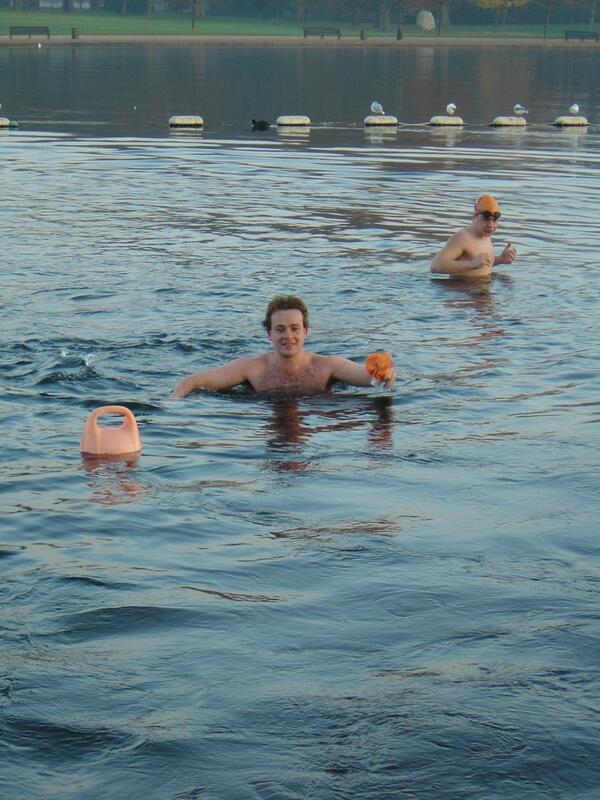 Obviously he's no chicken. 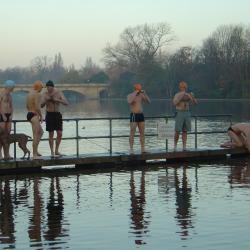 It was a lovely clear morning, and the swim was invigorating.